Do You Have Oil Leaks? We understand that everybody’s application can be unique or out of the ordinary. 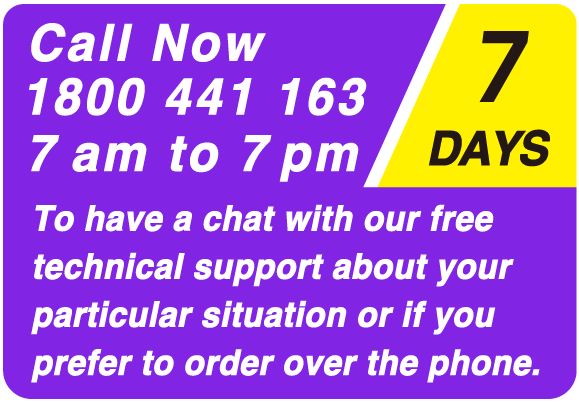 To be sure of the best result call Peter on 1800 441 163 or 02 8188 2060 (7am to 7pm 7 Days A Week) and have a chat about your particular application. The Liquid Intelligence 230 Stop Leak Seal Expander formulation contains a unique combination of ester and phenol additives. The ester and phenol chemical combination swells, softens and rejuvenates the physical properties of dried and hardened seals. All nitrile, polyacrylate and isoprene elastomers engine seals and gaskets are subject to deterioration, cracking and leakage over time. 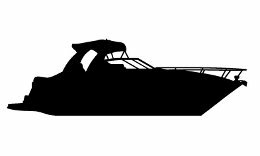 Liquid Intelligence 230 will rejuvenate dried and hardened Buna-N, Polyacrylate, Neoprene Rubber, Styrene-Butadiene Rubber, and, Polyacrylonitrile oil seals in transmissions, power steering systems, differentials and engines. Application Ratio: 50mls of additive per 1 litre of oil. Extended Seal Life: Liquid Intelligence 230 seals permanently when used as directed. Petroleum and chlorinated solvent free. No Chlorides or Solvents: Made from pure phosphate ester, phenols and non-chlorinated and non-petroleum synergistic elements in a paraffin carrier. Stops Leaks: An application of Liquid Intelligence 230 will work on transmissions, power steering systems, differentials and rear main engines seal in about 100 kms of driving, or within one week. Will not affect clutch plate linings. Has very high temperature and pressure stability. Will not affect the viscosity of transmission fluids. I was knocked back for registration because of a rear main seal oil leak. This photo was taken three days after using Liquid Intelligence 230. I left a piece of cardboard under the car overnight to monitor the leak and found the next morning that the leaks had stopped. After cleaning the engine at the local car wash I also found that an oil weep from the timing chain cover had stopped as well. I am very happy with this Liquid Intelligence result and would recommend this product to anyone. This photo was taken three days after using Liquid Intelligence 230. I left a piece of cardboard under the car overnight to monitor the leak and found the next morning that the leaks had stopped. After cleaning the engine at the local car wash I also found that an oil weep from the timing chain cover had stopped as well. Tell us about your oil leak issue. **Save $12.30** Special Value Three Can Offer. Save money and buy for yourself, family and friends. **Save $44.30** Special Value Five Can Offer. Save money and buy for yourself, family and friends. I thought that you may be interested in this clip I found on You Tube. It shows a vehicle with blue smoke coming out of the exhaust… This is a typical sign of an engine with dried and hardened valve stem seal. Blue smoke is caused by oil burning….. dried and hardened valve stem seals will allow oil to seep into the combustion chamber… and produce blue exhaust smoke. The blue colour is not from burning oil, but from oil failing to burn… The oil forms tiny droplets that make the smoke look blue. All valve stem seals and gaskets are subject to deterioration, over time. 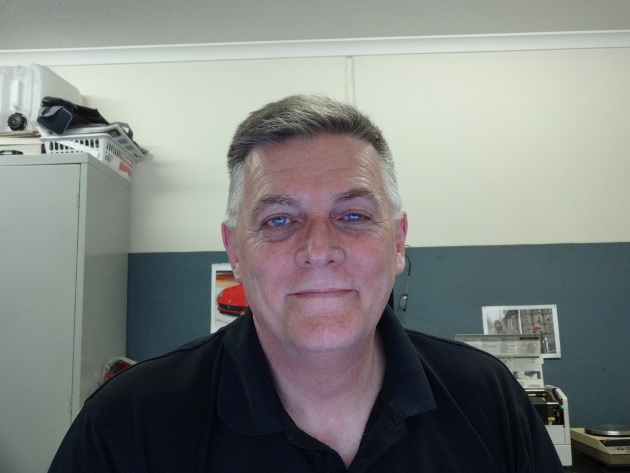 Replacing valve stem seals can be a difficult operation… often requiring specialised tooling and the removal of a cylinder head… Just to remove and replace the head will cost about $800 plus gaskets and parts, so a mechanical repair bill of $1500 is a real possibility. This level of exhaust smoke shown in the clip would indicate valve stem seals that are dry and hardened… but not cracked and broken… and could be easily fixed using Liquid Intelligence 230… It is not possible for Liquid Intelligence 230 to enhance the performance of seals that are broken or have mechanical damage… Engines with broken valve stem seals would show a higher level of blue exhaust and would smoke continually. 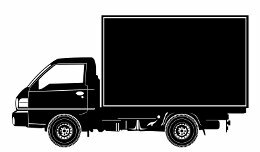 Did you know that quite often the replacement part for your vehicle may well be as old as the car that you are repairing. 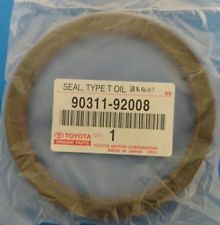 The fact of the matter is that for example a replacement rear main seal for a 1997 Toyota Camry was probably produced about 14 years ago around the same time the car was made. For older cars this can be a problem particularly for oil seals because that seal has been gradually depleting and going hard over the years. And when that depleted seal is added back into the Camry it generally starts to leak within 12 months of it being fitted. If Liquid Intelligence 230 was added into the engine oil when that seal was replaced it would rejuvenate the seal and it would then last it’s normal service life and then some. Hi Peter. Just wanted to let you know that your Stop Leak Seal Expander worked like a charm for me. 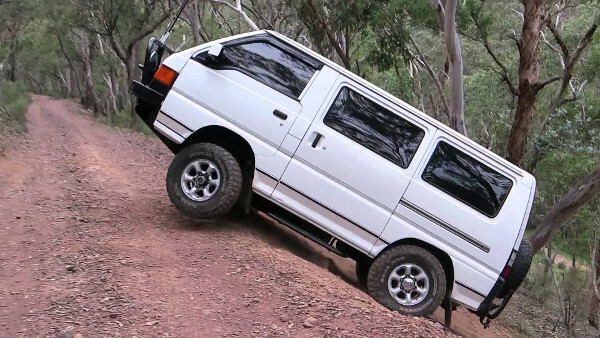 I have an old Mitsubishi L300 4WD van, which developed a very bad oil leak, which my local mechanic told me was coming from the front crank seal. Not only was there a puddle of oil under it every time I stopped, but also the whole bottom of the van was covered in oil from blowback when driving. My mechanic told me this would be about $800 to $1000 to repair, as the timing belt and tensioners had to all come out, and may as well be replaced at the same time, just to get to the crank seal. Also everything is very hard to get at in these vans! He told me he had heard a few good reports about your products, and it was probably worth giving it a go, and save myself a costly repair if it worked. Well, it did!! I put 500ml in with the oil as you told me to on the phone. I reckon it took about 4 hours of driving and also I let it idle for a few hours a day for a few days. Kept degreasing underneath and gradually the leak got less and less, until now it is bone dry! Bloody amazing!! A fantastic product, and a great backup service, where you can actually speak to you on the phone about the product. Thanks Peter and team at Liquid Intelligence. There are a lot of liquid fixit products on the market which you can buy at your local auto retailer… and the success rate with those kinds of products can be kind of hit and miss. The fact of the matter is that a lot, and maybe most, are made to a price and so don’t work as well as you would like… to do a great job requires that the ingredients need to be the best and they need to be professional strength. A cheap product can’t have a high success rate because a solid fix requires solid ingredients. 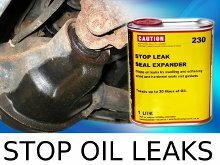 The team at Liquid Intelligence have worked on the the best solution and come up with with a stop oil leak product which has close to 100% success rate on seals that have hardened or lost sealing. This product has been around for a good number of years and so has stood the test of time. So much so that they stand behind every product with a satisfaction guarantee so it is worth a shot if you have oil leaks and you suspect that the seal is not broken. You can tell that a seal is broken and needs replacing because the oil leak is profuse. 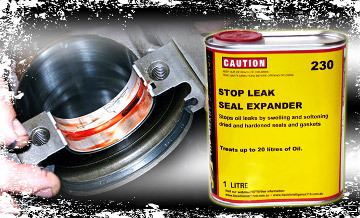 For anything else then Liquid Intelligence 230 Stop Leak Seal Expander will do the job for a fraction of the cost of dis-assembly and seal replacement. Is it worth it to give it a shot? Sure as long as the seal is not broken it is the first thing you should try. When diagnosing oil leaks, the main culprit is usually the rear main seal. Oil around the oil pan is in fact most often coming from the rear main seal. The purpose of the main seal is to keep the oil inside the engine and to pass oil through the to end of the crank shaft seal at the back of the engine connected to your transmission via the torque converter. The crank shaft seal located in the front of the engine is where the biggest pulley of the engine sits. This seal can also become hard or lose sealing and can be restored by applying Liquid Intelligence 230. Actually Liquid Intelligence 230 will work on all the different seals such as the crank shaft, camshaft, oil pan, valve cover gasket, o-rings and all other seals inside your engine. 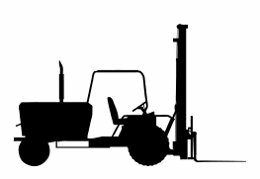 The way it works is that you pour it into your oil filler and from there it moves through the engine until it meets up with the leaking seal. It is not an instant fix, but over a few days to weeks the seal begins to soften and become pliable and seals the oil. To keep the seal in good soft condition you can use this product at least every second oil change. Why spend hundreds of dollars, and maybe thousands of dollars, when Liquid Intelligence 230 can do the job. If your oil leak is not profuse then try this first. I felt compelled to write to you. I own a 94 Camry, it’s been a great car and it had started to leak oil from just about everywhere. 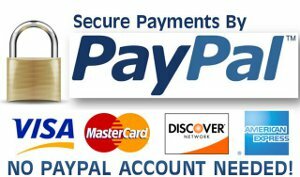 Registration was coming up and I knew it would be a problem so found you guys on the net and gave your tele sales people a call. I couldn’t believe it you guys actually took the time to listen and give me some free advice. I decided to buy a can of the seal expander. Your people explained it would take a few days before I saw some improvement and that would continue over a couple of weeks. Peter you’re selling it short, I popped about 300 mls in took it for a drive into town and when I came back no leaks! I even rang your toll free number to tell them, they tell me that’s sometimes that happens to early Camry’s . 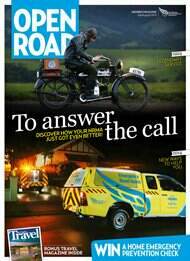 Whatever the answer it worked for me, the car passed rego and I’m not even thinking of moving it on now. 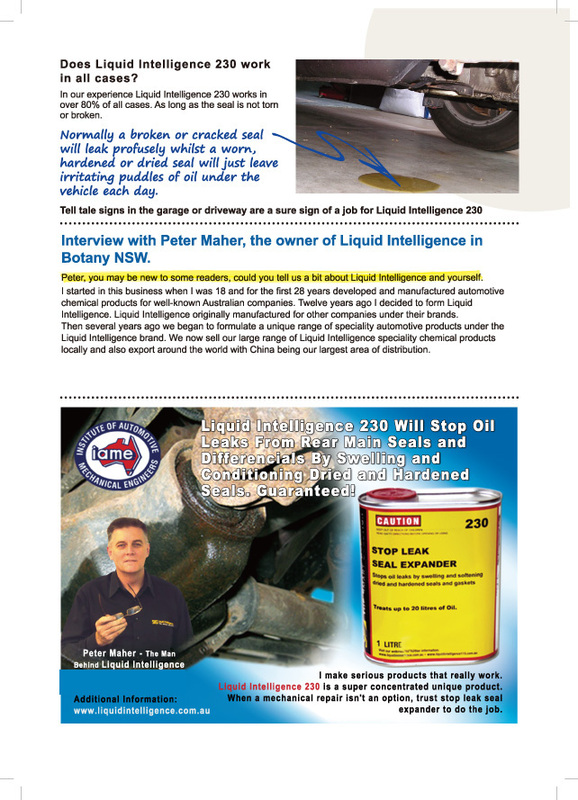 Can Liquid Intelligence 230 Stop Oil Leaks save You Money? When you have been quoted $800 to $1200 to replace a slow leak from a rear main seal, using Liquid Intelligence 230 can save you time and money and keep you on the road as long as the seal is not ripped or torn. Also Liquid Inteligence 230 can be used as a maintenance product to keep seals in good condition. Often these leaks go unchecked as the cost of replacing them is too high or you decide to “live with it”. 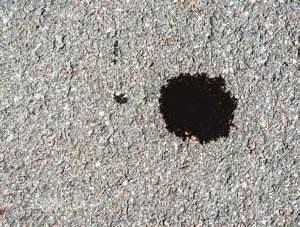 Normally a broken or cracked seal will leak profusely whilst a worn, hardened or dried seal will just leave irritating puddles of oil under your vehicle each day. If your vehicle is not losing vast amounts of oil then I would recommend that you try Liquid Intelligence 230 before you start spending big money on mechanical repair and replacing seals. 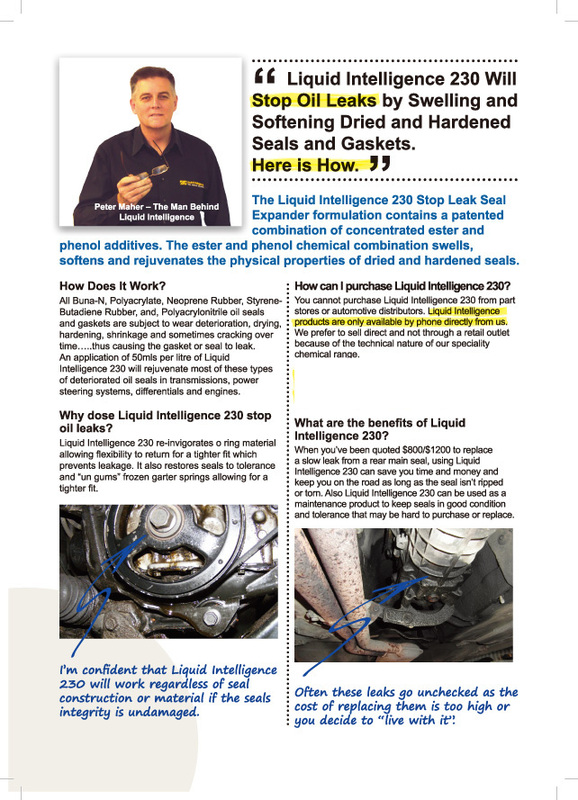 Liquid Intelligence 230 has a long history of successfully repairing slow oil leaks in automotive and industrial applications. It is not possible for Liquid Intelligence 230 to enhance the performance of seals that have mechanical damage ie. seals that are cracked, ripped or torn, or seals made from cork, rope or felt. I purchased LI 230 from you roughly a month ago. My 98 MX5 was blowing smoke on start up due to suspected bad valve stem seals. The amount of smoke was a huge amount that quickly filled my garage until oil burned off. At your suggestion changed the oil from synthetic back to mineral and added 400mls of LI230. 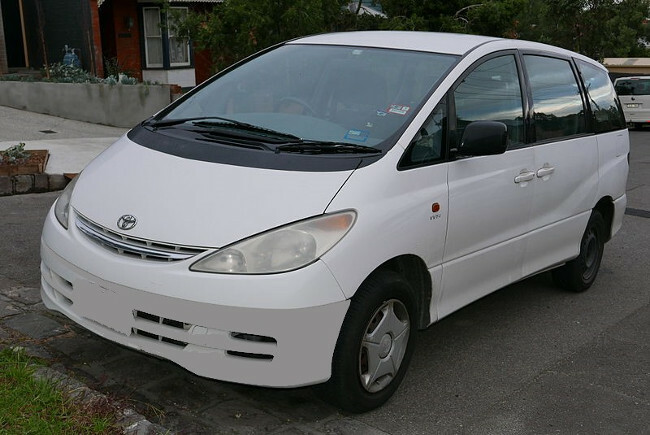 Vehicle has 158,000kms on the clock and travels approximately 40kms per week comprising of two trips. I have done 7 trips since the service. I am now very pleased to report that the amount of smoke has been reduced by at least 90% (this is at 6am. Very cold) and very, very minimal at around 10am at first start up. Vehicle left overnight sometimes for three days. No smoke at any time whilst running. Thank you indeed for your product! I just thought I would like to leave a review for Liquid Intelligence 230 Seal Expander. My tappet cover on my Tarago was leaking and now after using your Liquid Intelligence 230 product it has completely stopped. 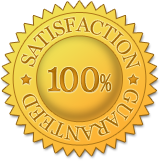 I have also used it on another of my vehicles successfully and it has now saved me a $1000 that I would have spent on repairs. The cars are running better, the oils leaks a fixed and I couldn’t be happier. Dana Jennings the owner of a Volvo P1800 ‘S’ 1966 sent me this email. 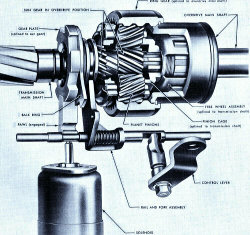 Dana used the Liquid intelligence 230 Seal Expander to stem an oil leak from a ‘Laycock De-Normanville’ overdrive in his vehicle. 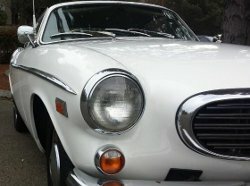 I contacted you some twelve months ago to ascertain whether you were aware of problems using “230 Seal Expander in a ‘Laycock De-Normanville’ overdrive on my 1966 Volvo P1800. You had no data at the time but could see no likely issues. I just wanted to let you know that I have now been using it in the o/drive for some months and it has reduced my leakage significantly and there have been no issues. It has also worked wonders in the engine and steering box. Hope this info is of help in the future. Many European cars from the 1950s right up through the 1980s used the English-made Laycock de Normanville overdrive, including those found on Volvos, Ferraris, Triumphs and Fords, to name a few. Borg-Warner pioneered overdrive in the U.S. in the 1930s and kept it in production into the 1970s. 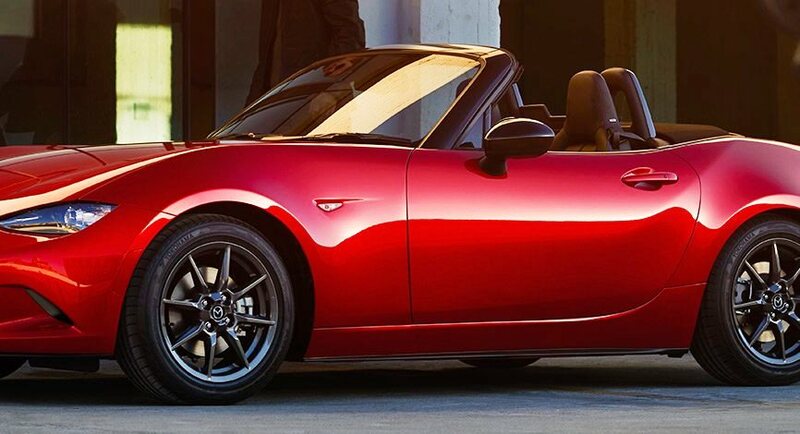 Overdrive units are available for muscle, classic and European cars that were not originally fitted, allowing you to keep performance and originality while still allowing for much more comfortable and efficient highway cruising. Here is an email from Gary W. He purchased Liquid Intelligence 230 after he rang me to make sure it was going to work for him. 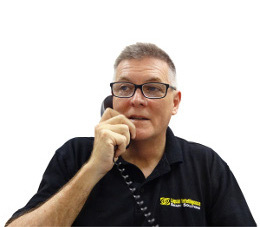 It’s quite normal to get many such phone calls or emails from a customer before and after the purchase… This is why we are different from all the rest. I put 500ml of Liquid Intelligence in my oil tank as you said. I didn’t bother degreasing it, there was oil everywhere. Drove around 500km in a week and a half. Degreased the engine today, drove it around 15km, put cardboard underneath the engine and let it idle for 30 mins. NOT A SINGLE DROP came out. This stuff is absolutely amazing. I used to get around 5 drips in different areas every 2 seconds! I just wanted to contact you to tell you how good this worked for me. 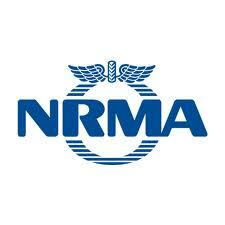 I was quoted over $2200 for new seals, cam seals, rocker cover seals…you name it. I’m going to book it in for a RWC next week, with full confidence. Thank you for the outstanding customer service Peter, from start to finish. You have an outstanding product!